Elders NPR coverage of Elders by Ryan McIlvain. News, author interviews, critics' picks and more. In Brazil, two Mormon missionaries find their faith unexpectedly tested by a pair of potential converts. The veteran, Elder McLeod, is outspoken and surly, eyeing the end of his two-year mission teaching the Book of Mormon door to door; the new guy, Elder Passos, is a devout Brazilian who came to the church only after his mother's death. Together, they must face down their doubts and the trials of a new and tenuous friendship. April 3, 2013  As a Mormon missionary, Ryan McIlvain spent two years ringing strangers' doorbells, even as he experienced doubts about his own faith. He left the church in his mid-20s. 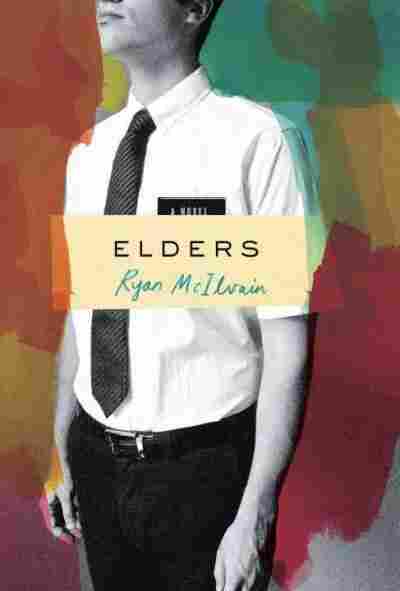 McIlvain's debut novel, Elders, tells the story of two young Mormons carrying out their missions. The voice came from behind him, rapid and insistent — already it grated on McLeod. He stopped. He turned his head half around, a half show of resistance, but enough to see his senior companion sidled up to yet another door, waiting, gripping the doorframe with his hand even, like a stubborn child in the toy aisle. "It's your turn," Passos said. "Right?" He motioned his head at the door, which looked just like the last one, and the last: older than the tin it was made of, once blue (or green or yellow), but now, faded and dusted, sun-scored, a blue-gray, the color of dirty mop water. Elder McLeod stared at the door and clenched his teeth out of a sort of slow reflex. And on his Slump Day, too, he thought. That was the worst part. He thought: Five minutes. I'll knock for just five more minutes. He looked down at his wristwatch: 3:02. Ten minutes at the very most. McLeod backed up until he stood beside Passos at the door. He rapped on the thin metal, a thin warping sound, and out of the corner of his eye he watched Passos watching. They had only been working together for a week, and the force of Passos's earnestness, his sheer newness, could still startle McLeod. Look at him now: yellow-brown, tall and lanky, his face like a tapering ear of corn, and in the center of it, a smile. Big-watted, toothy. At every door Passos smiled like that, a sort of insurance policy, McLeod thought, in the off chance that someone actually came to a door. After several unpromising seconds at this one, Passos's smile remained bright. "How long have you been out again?" McLeod asked him. "Huh? Oh. Sixteen months almost." "Congratulations," he said, but he laughed as he said it, a thin, tight laugh. Parabens. He pushed air through his nose, shook his head, and stepped away from the door, not waiting to make sure no one was coming. If someone was going to come to a door, you heard it early, heard movement in the house or in the yard, someone shushing the dog maybe, someone calling out Who is it? Or someone rushing up to peer through the gap between the brick wall and the outer door, then calling for a parent — a mother, usually. It happened quick. You didn't need to stand around, a hopeful debutante holding a smile for full minutes. Did Passos really not know that? The Boy Wonder? The climber who had made zone leader at only eleven months out? Elder McLeod waited, half turned again, and now he noticed the shadow of a frown on Passos's face. "I was just making sure," Passos said. The elders finished knocking the street, every door a no-show, and started right into the next street. More no-shows. More smiles from Passos. McLeod wanted to throw his head back and laugh. Instead, he slowed his pace, then stopped, looking down at his wristwatch: 3:08. When he looked up again the world was still the same, everlastingly the same: the dust scrims, the whites on clotheslines, the property walls bristling with colored glass, rows of sharp, bared teeth. He could hear the river in the distance now, but only just. At a sudden gust of wind a pair of blue jeans kicked up above the property wall to McLeod's left. He thought of the old dress pants he'd laid out on his bedspread this morning, a threadbare sacrifice waiting to be burned. A tradition. A rite. Which he would duly observe tonight with Sweeney and Kimball. He hadn't seen them in a week, not since transfers and the news that they would both become senior companions, at last. He expected they would razz him, the eternal junior, and that they'd see through his good-riddance routine. It did gall McLeod that he had to take orders now from someone with less experience on the mission, and with no knowledge of Carinha at all, the city McLeod had served in for the last six months. But Elder Passos played the game; McLeod didn't. Passos stooped to the game; McLeod wouldn't. Over the sound of the river came a different kind of coursing, much louder and nearer to McLeod. His senior companion stood to his right, upending a squeeze water bottle above his mouth. The bottle exhaled as Passos lowered it, replaced it in his bag. He wiped his lips with the back of his hand, then nodded at McLeod and started for the next door. "Today's my Slump Day, man. And nobody's answering." "Your 'Slump Day'?" Passos said. "You don't know what Slump Day is? 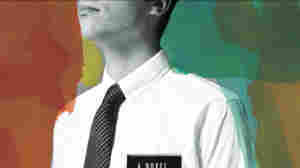 Are you really that--"
"I know what it is, Elder McLeod. It's unbecoming of a missionary. That's what President Mason said at the last zone leaders conference. No more crass names to mark so-called occasions, and no more burning perfectly good clothes either. Didn't your last zone leader communicate that?" "He communicated a lot of things," McLeod said, laying emphasis on the procedural-speak he already disliked in Passos. He stared at him for a long, hard second. Then he changed his tack. "Elder Passos, we can pick this back up tomorrow, can't we? I think eighteen months on the mission is worth a little break. Don't you?" Passos put his hands at the top of his thighs, arms akimbo, long, stick-figure limbs. He seemed to be weighing his options, which battles and when. "How about we do five more doors?" Passos said. "Then we'll take a break, okay?" McLeod hesitated a moment, then sighed. The first door was Passos's. Nothing. The next was McLeod's. Also nothing. The third door triggered an explosion of barking, a big dog from the sound of it, each bark like a mortar round. After several bracing seconds of this, McLeod and Passos moved on. When they knocked the fourth door, a flutter of movement came from inside the courtyard. A door handle catching, a door scraping open. A patter of footsteps approaching the outer door. A young face through the gap. Brown eyes, shorn brown hair. The face disappeared and the steps retreated. McLeod and Passos heard whispered voices from the open front door, a quick high alto, a dragging soprano. Then the tiny steps again. "No one's here, okay?" said the alto voice through the outer door. Ninguem esta aqui, ta? McLeod snorted at the familiar phrase. It might have been the very first phrase he had learned to separate out from the rapid slur of Portuguese. Ninguem esta aqui, ta? And that final contracted ta, that timidness, so typical of the local style, and so tiring. We're not interested. We're not available. We're not even here. Okay? "But you are there," McLeod said to the boy. "I said you are there, aren't you? You're someone." "Yeah but my mom's not here." "Yeah? Who were you talking to just a second ago?" The boy paused, recoursed again to his line. "Nobody's here, okay?" "I don't believe you," Elder McLeod said. Passos turned to him, suddenly furrowed, his dark brows combining in a long sharp V shape. Let's go, he mouthed, leaning away from the door. "But listen," McLeod continued. "We're representatives of the Church of Jesus Christ of Latter-day Saints. You may know us as the Mormons? Well, anyway." McLeod spoke in a clipped, mock-cheery tone. "I'm Elder McLeod and this is my companion, Elder Passos. 'Elder' is a title, not a name, by the way--in case you're curious. Many people are. But we've come here today with a very special message for you and your mother--"
"Of course, of course. But we have a message for the two of you anyway. It's a message about liars and what happens to them in the--"
A hand clamped McLeod's wrist and he was halfway off his feet. He felt the anger in Passos's grip, tried to shake himself free of it. "Let go of me!" In the middle of the street Passos swung him loose and stared, his dark brows creased even sharper. "What do you think you're doing?" "Of course he was lying, Elder, but you don't say that. You never say that! Is this really how you act? Are you really this green?" McLeod stiffened at the word. "I'm green? You think I am green. Who knocks doors for two hours right after lunch, when the whole damn country is asleep? And I'm green?" He turned around and started back up the street. Passos yelled after him, "Where do you think you're going?" McLeod didn't answer, didn't turn around. He shielded his eyes against the shards of light off the river as it crooked into view. He waited at a nearby bus stop for ten minutes. Fifteen minutes, twenty. Had all the bus drivers in Carinha taken siestas too, all of Minas, the entirety of southeast Brazil? And where was Elder Passos? He had failed to follow after him, failed to turn up at the bus stop at all. He had succeeded, in other words, in surprising McLeod. Maybe there was a touch of earth in him after all. The Missionary Handbook forbade and forbade — no TV, radio, newspapers, etc., no recreational phone calls, etc., etc. — but it proscribed nothing so strongly as being separate from your companion. And yet . . . McLeod checked his watch, craned his head to see as far down the street as he could. Nothing and no one. A touch of earth. Where was that from again? Something by Tennyson, right? Or was it Longfellow? He would have to ask Mom to look it up for him in his next letter home. Why could he never remember anything? Why could he not hold on to knowledge? Already the yield of years of effort in high school, and all the reading and memorizing he'd done on his own — it had dwindled to traces, scraps of language, and most of it floating maddeningly free of its context. Such that someone says now, at some point, and for some reason, that who loves me must have a touch of earth, the low sun makes the color . . . and something else. He would have to check it with his mother. Soon enough McLeod could check things himself. He could enroll at Boston College or maybe Amherst, or maybe even one of the Ivy Leagues--he could at least apply--and then he could take history and literature classes and study facts, or study fiction, and put behind him this muddy slosh of the two. Six months more. The homestretch. McLeod checked his watch again. Had it really been thirty minutes since he last saw Passos, and more than that without a bus? But just then he heard a low, diesel rumble: the rectangular bulk of a city bus rounding a corner, spilling its sound onto the main street. McLeod stood up from the bench with what must have been an expectant look, for by the time he saw that it was an eight bus the driver had already begun to brake for him. The bus pulled up to the curb and unfolded itself: the platform's sudden hitch downward, the hydraulic sigh of the double doors. The driver leaned on his lever and looked at McLeod. "You getting on?" "This is the eight, right? I'm waiting for the six. Sorry," McLeod said. "But, hey," he said, "where is everybody?" "Probably glued to their TVs." "No, I mean, where are all the buses?" "Less people to pick up, less buses." The driver studied McLeod a moment longer, a bemused little grin dawning up through his features. "The Latin American Championships, right? They started today. How do you say it?" He reached for the word in English: "Soccer?" McLeod thanked him and stepped back from the curb as the bus pulled away, lifting a shimmering wake of dust. As it dissipated, McLeod caught sight of Elder Passos on the opposite sidewalk. He seemed apparitional, unsolid except for the green cans he carried in either hand. He started across the street. "For a second I thought you'd got on that bus," Passos called, holding up two cans of Guarana. 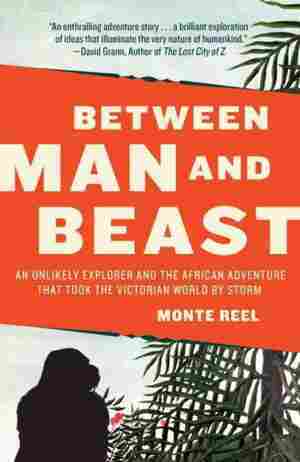 "Would have been twice the refreshment for me." "Where were you?" McLeod said. Passos gestured at the soda as he drew close to McLeod. "I figured we needed something to cool us down. And I don't know where anything is yet. So it took a while. You'll forgive me?" Elder Passos produced his watted smile, easy and bright, and it softened McLeod. He accepted the can from Passos, cracked the tab — the sound of barbecues, camping trips. The transporting sound of elsewhere. The elders sat on the bus-stop bench and drank in long continuous gulps, as if discovering their thirst as they tried to sate it. After a moment McLeod came up for air, broke the silence. "I'm surprised you found somebody to sell you something. Today's the start of the Latin American Championships, apparently." "Today?" Passos said. "Seriously?" He looked off for a minute, came back. "I guess that's right, isn't it? Early January. The mission disorients you." "Amen and amen." Passos tipped the last of his soda above his open mouth, shaking the can like a handbell, dripping it dry. When McLeod had finished his a minute later, Passos walked the two cans to a trash barrel a few feet from the bus stop. He turned around. "Better?" Elder McLeod nodded his head, even muttered a quiet sentence about the heat and his impatience — how he was working on it, how he wasn't usually like he was back there. "That's okay," Passos said. "We'll just knock the last door, then call it a day. We said five, right? One more?" McLeod pushed air through his nose again, shaking his head through the disembodied laugh, a genuine sound now, almost admiring. It was Passos's door anyway. He led them back to the street they'd been knocking earlier, and in the middle of it he put one hand to his head, another out in front of him like a seer, pretending to channel some power as to where he should knock. It was another gesture, another touch of earth. McLeod gave a grateful laugh.